“Year One.” Historians typically use this expression in reference to the institution of radical, transformational change. I would argue that it is fitting to use it to describe Cal Lutheran’s 2012–2013 fiscal year. 2012 was the first year we took action towards achieving goals established in our Five Year Strategic Plan and we are well on our way in “Year Two” as well. 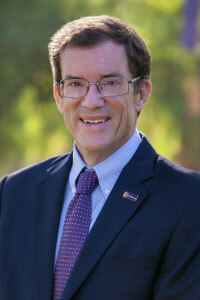 Our actions may not be what most consider radical, but I can assure you that they are transformational—to our students and their experience as Kingsmen and Regals; to our faculty and staff and their careers; and to our greater community of alumni, family, and friends and their connection to Cal Lutheran. We put a lot of emphasis on the word "purpose" around here—so allow me tell you the purpose of this report. This report is designed to give you an overview of all the good things going on around here over the last year and a half—a summary of our 2012-2013 fiscal year, an update on our five-year strategic plan, and a quick look at the state of our university and what has happened so far this school year. I hope you will read it to help affirm our purpose—as an institution of higher education dedicated to excellence in the liberal arts and professional studies; as a place where students can become our newest leaders for a global society; and as a community rooted in the Lutheran tradition of Christianity where those of all faiths and backgrounds are encouraged to pursue inquiry into matters of both faith and reason. Above all else, I am pleased to report that California Lutheran University is a place that continues to evolve, grow, and innovate and it is a place where I am proud to say we are living our purpose. Thank you for your interest and your support. 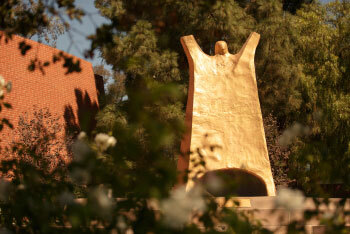 His birthday is October 17, 1986—he was a gift from Cal Lutheran’s first graduating class. 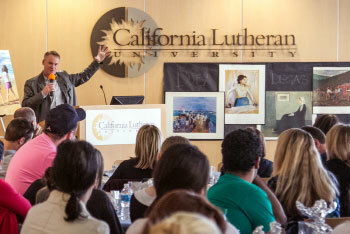 California Lutheran University did well financially during the fiscal year ending May 31, 2012. Total institutional assets increased to $262.8 million, up from $246.2 million in the previous year. Net assets (total assets less liabilities) increased to $171.4 million, up from $154.0 million, due to operating gains. Due to exceptional operating performance and investment returns, revenue exceeded expenses by $17.5 million. Total revenues and gains are $109.2 million, up from $95.1 million in the previous fiscal year. Operating revenue increased to $101.9 million from $94.0 million in the prior year, while non-operating revenue was up to $7.3 million from $1.1 million in the prior year primarily due to the fluctuations in the value of the endowment. Expenses increased to $91.8 million for the fiscal year, up from $87.9 million. Total assets increased by $16.6 million, liabilities decreased by $.9 million, and net assets increased by $17.5 million. Cash increased to $42.2 million, from $18.6 million. Contributions receivable decreased to $0.3 million, from $4.1 million. During the year, the value of the University’s endowment increased by $6.1 million to $61.7 million largely due to market changes on endowment assets. The University’s Property, Plant and Equipment decreased to $122.9 million, from $126.2 million in the previous year, primarily due to the depreciation without a major capital project. The University is grateful to all of our 2012–2013 donors for sharing in California Lutheran University’s mission and success. For additional information about the University’s audited financial statements, visit the Office of the President’s website. 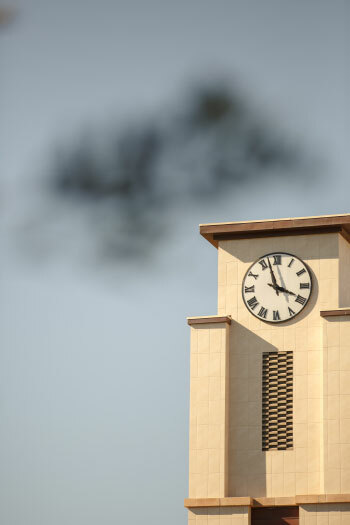 In May 2012, California Lutheran University’s Board of Regents approved a Five-Year Strategic Plan comprised of five overall goals in support of our mission. Each fiscal year, members of the senior leadership develop annual goals in order to support these Five-Year Plan goals. Below you will see our five overall goals and a sampling of efforts completed or achievements related to them during 2012-2013. Cal Lutheran was awarded a two-year $50,000 grant from the Network for Vocation in Undergraduate Education (NetVUE), an arm of the Council of Independent Colleges, in January 2013. A project team comprised of faculty and staff is identifying existing courses or programs that would benefit from sustained exploration of vocation or purpose and improve the student experience. Our Office of University Ministries continued to implement and support Interfaith programs, with the dedication of a labyrinth and enhancements to the interfaith chapel space within Samuelson Chapel. A Rabbi was also added to our Campus Ministry staff. In the spring, Cal Lutheran announced its plans for the Elton and Janice Gallegly Center for Public Service and Civic Engagement in partnership with retired U.S. Representative Elton Gallegly. As part of our Master’s in Public Policy and Administration program, this nonpartisan center is dedicated to preparing a new generation of leaders and public servants for careers in the government and nonprofit sectors. The first two Gallegly Scholars were selected in spring 2013 to receive graduate fellowships in order to obtain their MPPAs. Our 7th Annual Festival of Scholars held April 29 to May 2, 2013 showcased 336 scholarly projects created by undergraduate and graduate students from the College of Arts and Sciences, the Graduate School of Education, and the School of Management. For the first time, the event included a multidisciplinary session, bringing a number of disciplines together for a panel discussion and poster session addressing, Inquiry, Art, and Knowledge for a Better World. The session hosted a standing-room only crowd of faculty, students, and members of the community. The 2013 festival set a new record for participation, reflecting our faculty’s dedication to mentoring of students. 43% of the class of 2013 reported participation in an internship or earned academic credit for an internship during their time at Cal Lutheran. Students got a taste of the “real world” working at a variety of companies such as CBS Television, Princess Cruises, the Los Angeles Sheriff’s Department, Live Nation Entertainment, Jafra Cosmetics, and Sony Pictures Television. Our Campus Diversity Initiative (CDI) continued its FOCUS mentoring program, pairing first generation, students of color, or international students with a faculty or staff mentor to make the transition to Cal Lutheran a successful one. The CDI further supported low income, first generation students by providing funding for them to participate in the TELIOS leadership trip and Alternative Spring and Winter Break service trips. The CDI also organized a Diversity Leadership Retreat in October 2012 which focused on gender identity and social justice. Thirteen new faculty members were welcomed to Cal Lutheran at the start of the 2012 academic year. 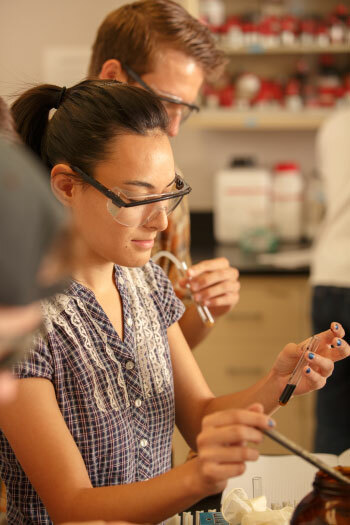 Our faculty is committed to serving our students as both educators and researchers with one-on-one eduction thanks to our small class sizes (16:1 on average) while also leading the way in their respective fields. California Lutheran University’s academic programs received more than $2.2 million in grants and contracts. Learn more about our distinguished faculty. In 2012–2013, we focused on improving services for our non-traditional students, those taking coursework on the evenings and weekends or at our satellite campus locations. This included increasing writing center services for our graduate and Bachelor’s Degree for Professionals student population, expanding spiritual support and services beyond our main campus, and offering career services in Oxnard and Woodland Hills. Our retention rate for our traditional undergraduate population proved to be strong for the 2012 first time freshmen, with an 85% retention rate between fall 2012 and fall 2013. Our “4 To Finish” Graduation Guarantee Program saw its first participants graduate in 2013. The program is designed to assist students in a timely four-year graduation. Students must meet program requirements and sign a contract to commit—in return, the University promises that graduation in four years will not be delayed by course availability. During the 2012–2013 year, our 524 student athletes earned a variety of accolades with five SCIAC (Southern California Intercollegiate Athletic Conference) Champion teams and numerous individual student athletes being honored for excellence in their athletic and academic performance. Construction on our new dining commons, Ullman Commons, began in early 2013. In addition to meeting the needs of our growing student population with improved food services and meeting spaces, the building is on-track to achieve LEED Silver certification. When complete, it will be the second LEED certified building on our Thousand Oaks campus. Check out this video that outlines the vision for this exciting new facility. Information Technology services were vastly improved for students and staff during the 2012–2013 school year, with additional bandwidth and improved WiFi infrastructure for our Thousand Oaks, Woodland Hills, and Oxnard campuses in place. Additionally, student email accounts have been moved to Gmail, improving the user experience for our students. Improvements to classroom facilities included replacement of desktop computers in electronic classrooms, upgrades to computer labs at our Oxnard and Woodland Hills campuses, enhancement of conference rooms, and installation of new projectors in 26 classrooms and Lundring Events Center. Invested in new information technology to streamline course catalog publishing and continued investment in document imaging in support of going paperless in our Undergraduate Admission and Registrar’s Offices. The University hosted a variety of cultural and educational events on- and off-campus to raise awareness about Cal Lutheran, its mission and its stellar programs and students. In 2012, our popular Corporate Leaders Breakfast Series grew to include a session held in Santa Barbara. We also resurrected the Mathews Leadership Forum program. 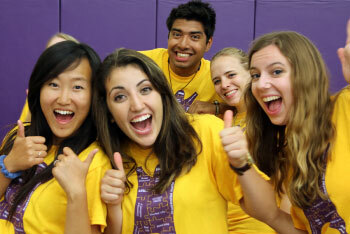 In addition to annual events such as Fall and Spring Into CLU, Admitted Students Day, and the CLUtheran Overnight for prospective students and newly-admitted students, in 2013, new welcome events for special groups including Legacy Students and Jewish Students were offered. In an effort to increase enrollment of transfer students, the Office of Undergraduate Admissions piloted a new “On-the-Spot-Admission” program at nearby Moorpark College. Between fall 2012 and fall 2013, Cal Lutheran saw its transfer student population grow to a new record of 278 transfer students, a 5% year-over-year increase. Eight new scholarships were established in the 2012–2013 year to provide funding for students in a variety of programs including science, music, and our MBA in Sustainable Business. The freshman class that entered Cal Lutheran in the fall of 2012 was not only the largest incoming class in university history, but also the strongest academically, with 20% of them coming from the top 10 percent of their graduating class. They also had the strongest test scores in university history with an average SAT score of 1150. June 2012 The programming and personnel of KCLU, our National Public Radio station, earn high honors and praise for oustanding local and national news coverage. July 2012 Thirty undergrads conduct full-time research projects thanks to more than $160K in grants from the University, Amgen, and the California Wellness Foundation. August 2012 Incoming freshman students take part in our first urban leadership orientation program, the Telios Urban Experience in Los Angeles. September 2012 We welcome nearly 600 freshmen and transfer students for their first year at Cal Lutheran, setting a new record for overall enrollment. October 2012 Former University President Jerry H. Miller is recognized with the Christus Award during our annual Founder's Day Convocation. November 2012 The U.S. Department of Education awards Cal Lutheran a $1.6M grant to continue and expand our TRIO Upward Bound Math and Science Center. December 2012 Class of 2010 alumna Elizabeth Calkins becomes the second Cal Lutheran alumnus to receive a Fulbright Award. January 2013 John Stauffer Charitable Trust gives Cal Lutheran a $500K challenge grant to establish the John Stauffer Research Fellows Program in Chemical Sciences. February 2013 Drama students perform at the Los Angeles Theatre Center as part of the prestigious Region VIII Kennedy Center American College Theater Festival. March 2013 As part of our master's in public policy and administration program, we announce a new collaboration with former U.S. Representative Elton Gallegly. April 2013 Our Honors Day Convocation celebrates students' academic honors, awards, and endowed scholarships. Dr. Jarvis Streeter receives the 2013 Honorary Alumni Award. May 2013 We host our landmark 50th Commencement, including the first cohort of students from our Graduate School of Education's Central Coast master's in educational leadership program. 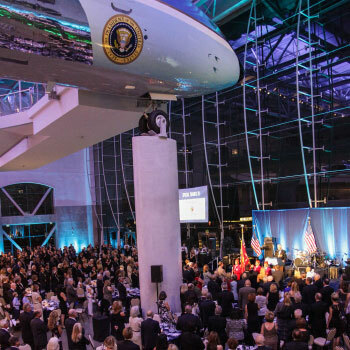 We kicked off fundraising for the Elton and Janice Gallegly Center for Public Service and Civic Engagement with a gala celebration at the Ronald Reagan Presidential Library in October. Guests enjoyed a cocktail reception, dinner in the Air Force One Pavilion and a program hosted by Los Angeles Angels chairman Dennis Kuhl. Speakers included students selected as the first Gallegly fellows and faculty members from the Master’s in Public Policy and Administration program. Future plans for the center include hosting visiting scholars and speakers as well as forums about public service. There has also been discussion of a partnership between Cal Lutheran and the Reagan Library for additional programs for the Center. Cal Lutheran strives to become a destination for arts and culture in our local and regional community. Already in the 2013–2014 school year, we have hosted numerous exhibits in our campus art galleries, and a variety of cultural programs. The City of Thousand Oaks even declared November 2–10 as All About the Arts Week at Cal Lutheran. In addition to a mainstage production of “As You Like It,” we also hosted an Arts and Culture Symposium for the first time in addition to our annual Arts and Learning Symposium during this week. 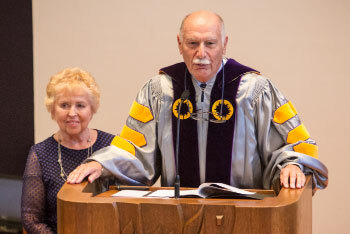 The Cal Lutheran community bid farewell to the University’s first employee, Ms. Ethel Beyer in the fall of 2012. In the fall of 2013, it was announced that Ms. Beyer had left her entire estate to Cal Lutheran and that more than $800,000 of it will be put towards a fund for the construction of a performing arts center on campus. Information about upcoming events and ongoing arts programs can be found on the Arts & Events website. Our Adult Degree Evening Program was rebranded as the Bachelor’s Degree for Professionals program in the fall. The decision to change the name was made to better reflect what the program is and who it serves. Classes are offered at Cal Lutheran’s Thousand Oaks, Oxnard and Woodland Hills campuses as well as online to better accommodate the needs of the program’s students, many of whom hold full-time jobs in addition to being students. We celebrated the beginning of this new chapter for the program with a special reception in September. Ron McDaniel (’88) was honored as an outstanding alumnus of the program and Paul Witman and John Crenshaw were presented with faculty awards. We welcomed the class of 2017 to Thousand Oaks over Labor Day Weekend for New Student Orientation. New students including 540 freshmen and 278 transfer students were introduced to life as Kingsmen and Regals and participated in a variety of traditions including the “You Got Served” community service day, painting the CLU rocks atop Mt. Clef, and the ceremonial beginning of their academic careers at Cal Lutheran in the Opening Convocation. Check out some of the highlights. Following work on a formal proposal during last fiscal year, all approvals for the merger agreement between Cal Lutheran and Pacific Lutheran Theological Seminary (PLTS) were completed in the first half of 2013. 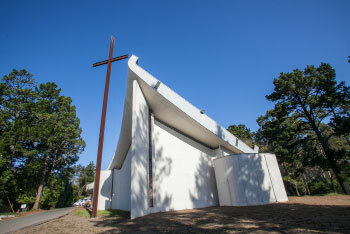 As of January 2, the Berkeley-based seminary is now known as Pacific Lutheran Theological Seminary of California Lutheran University. Following the retirement of Phyllis Anderson, PLTS President, the Rev. Karen Bloomquist was hired as the new dean and chief administrative officer of PLTS. She is now leading operations at the Seminary, what is now our northernmost campus and, organizationally, our fourth graduate school. While many of our student athletes and fall sports teams achieved greatness, none was greater than the Regals Volleyball team which finished the season with the best record in program history, advancing all the way to the NCAA Division III National Championship match. Learn more about their historic season. Another highlight of the fall sports season was the women's soccer team being the SCIAC Champion and men's soccer team being the SCIAC Tournament Champion. Both teams also played in the NCAA Division III tournaments. Additionally, two Regals cross country runners qualified for the NCAA Division III Women’s Cross Country National Championship. 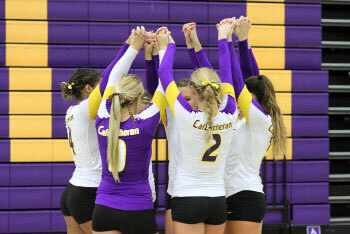 Get detailed coverage and schedules for all Cal Lutheran athletics at clusports.com. You can also learn more about the recently created Victory Club as a way to show your support of our Kingsmen and Regals student athletes and programs. A special annual tradition—this year’s Founders Day Convocation featured a keynote address by the Rev. Meghan (Johnston ’01) Aelabouni. The Christus Award was presented to current Regent Jim Swenson and his wife Sue Swenson. Our Alumni Association welcomed hundreds of alumni back to campus for a weekend full of festivities beginning with a special movie premiere screening courtesy of the 2013 Alumni Award winner, Jim Berk, and culminating with the first choir concert of the year in Samuelson Chapel. In between there were a variety of traditions both new-the Loop da Lu 5K- and old-the Homecoming Festival and Carnival. Making the return to Cal Lutheran even sweeter for Kingsmen and Regals young and old was a 20–6 Kingsmen football victory over Claremont-Mudd-Scripps. See highlights of the fun and mark your calendar for 2014 Homecoming, October 17–19. Below find a list of all those who generously supported Cal Lutheran during its 2012-2013 fiscal year divided into our Honor Roll, new members of the Orville Dahl Society, Gifts-in-Kind, and Matching Partners.